Spring break is quickly coming upon us. The kiddos are excited to have a week off of school, but do you have anything planned for them to do? 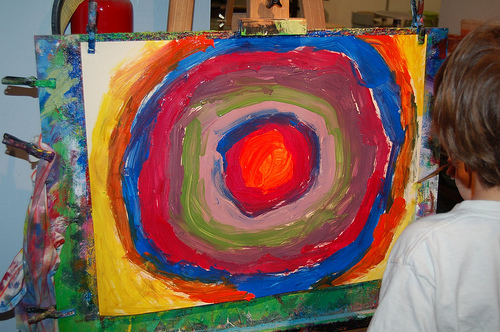 For a few hours a day, their imaginations can run crazy using paint, clay, or pastels with Bemis School of Art’s spring break classes. Creation Vacation - Go wild painting, sculpting, miming, playing games, and more, for ages 6-11. Polymer Clay - Build clay creatures or anything your imagination comes up with using kid friendly, for ages 8-12. Drawing and Painting - Learn watercolor, pastel, and tempera paint techniques and explore the FAC collections, for ages 9-adult. Under the Sea - Explore life under the sea and make your own ocean scene, for ages 6-8. Anime Art Club - Discover new drawing techniques inspired by Japanese, Korean, and Chinese anime, for ages 12-17. Colorful Carle Creations - Create creatures using drawing, painting, and collage techniques inspired by Eric Carle, for ages 7-10. Classes are four or five day workshops available to kids and adults. Register soon before classes fill up!